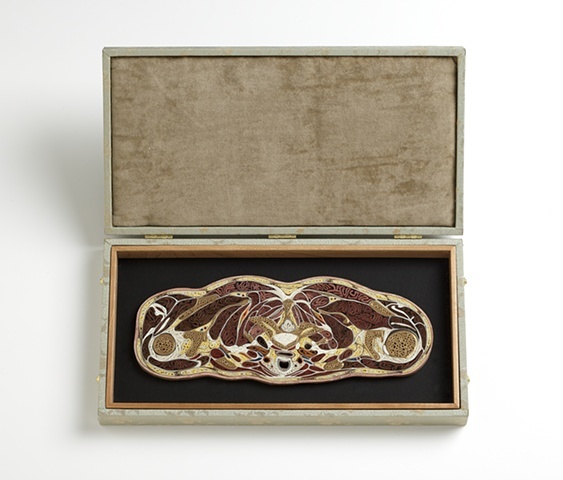 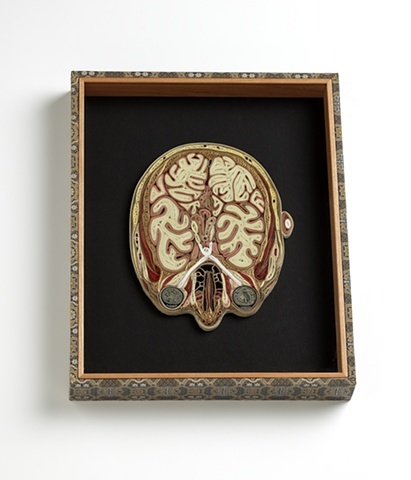 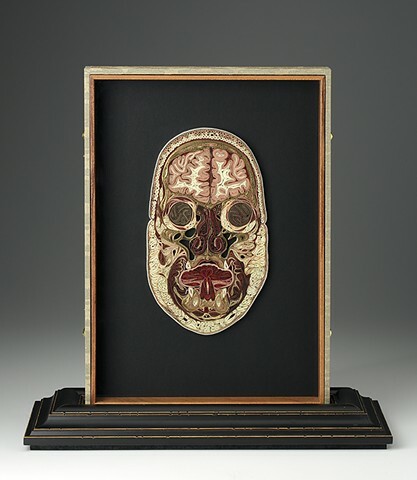 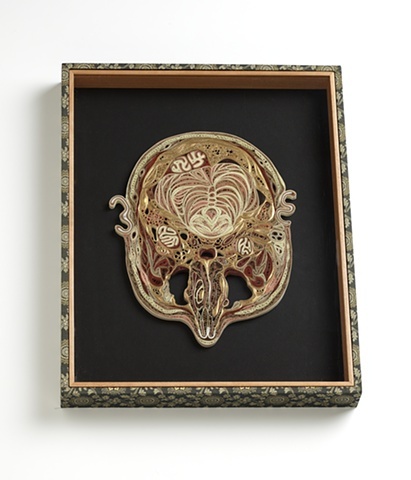 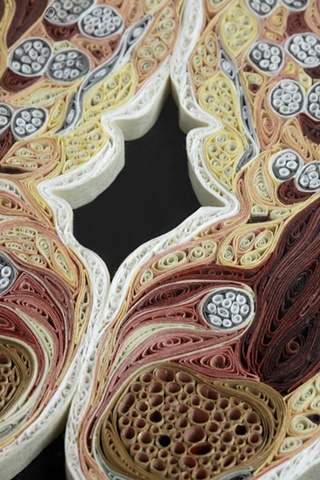 These pieces are made of Japanese mulberry paper and the gilded edges of old books. 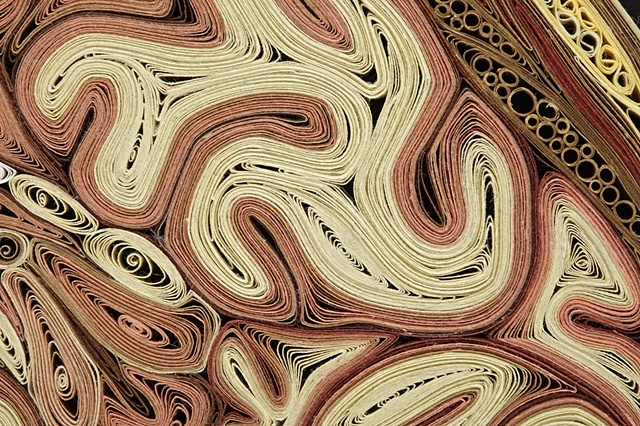 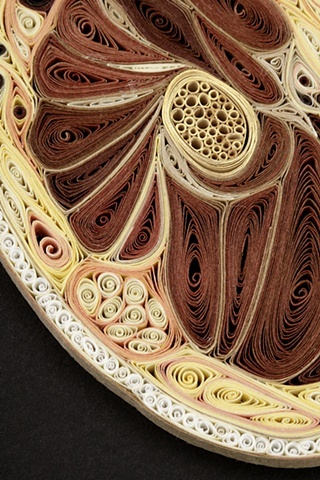 They are constructed by a technique of rolling and shaping narrow strips of paper called quilling or paper filigree. 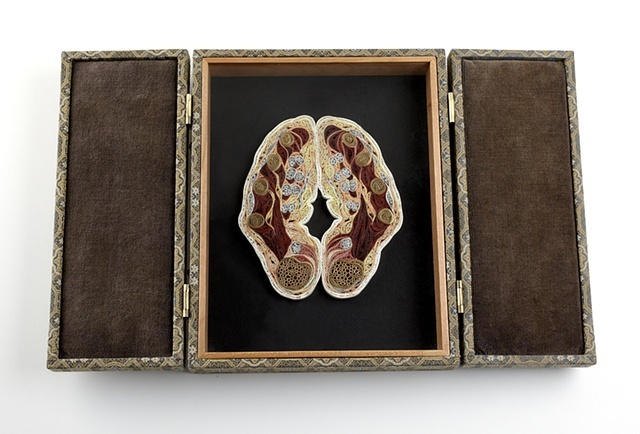 Quilling was first practiced by Renaissance nuns and monks who are said to have made artistic use of the gilded edges of worn out bibles, and later by 18th century ladies who made artistic use of lots of free time. 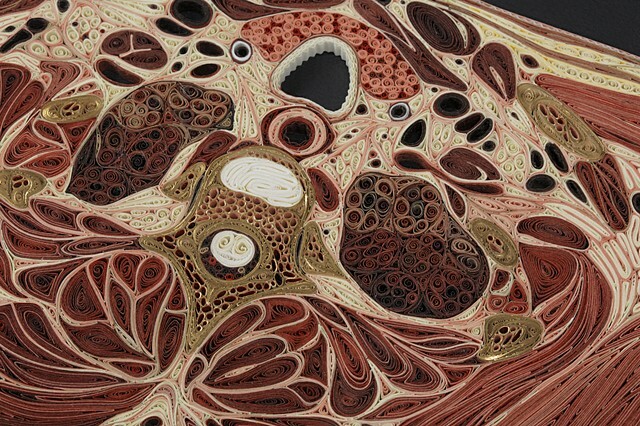 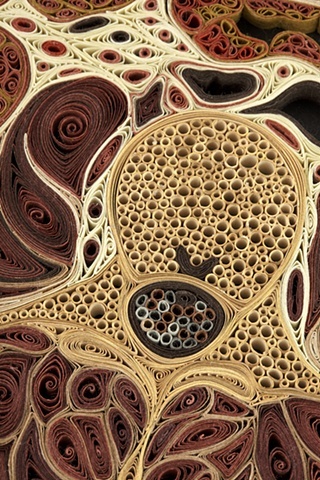 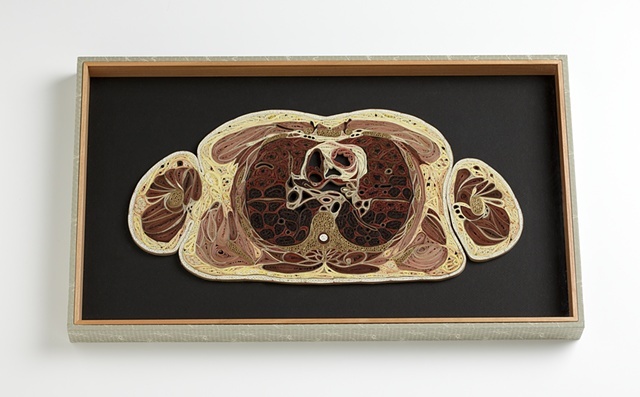 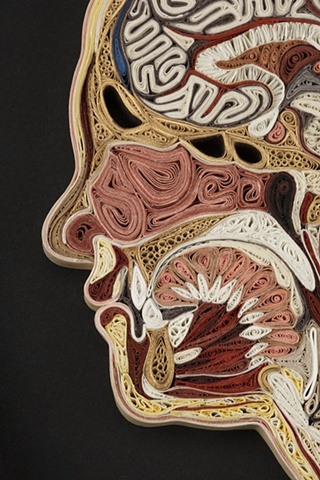 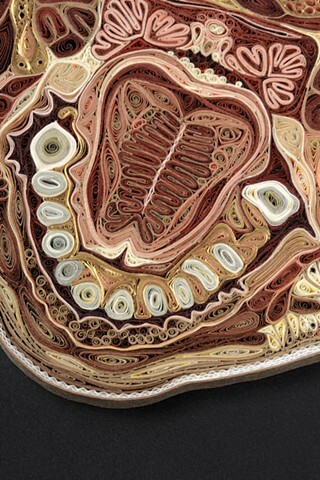 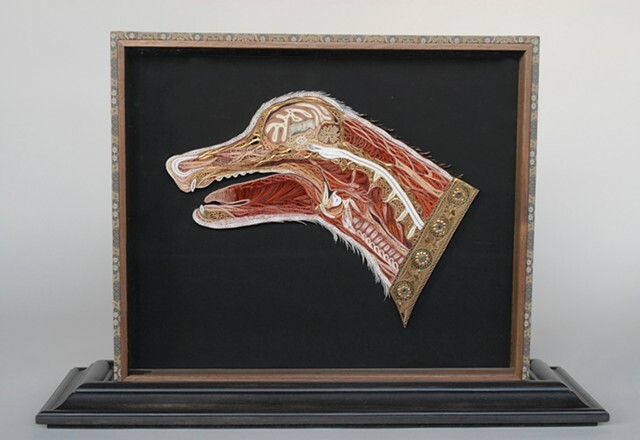 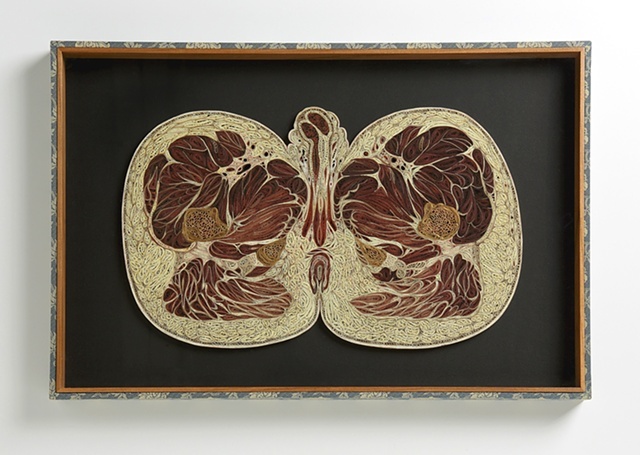 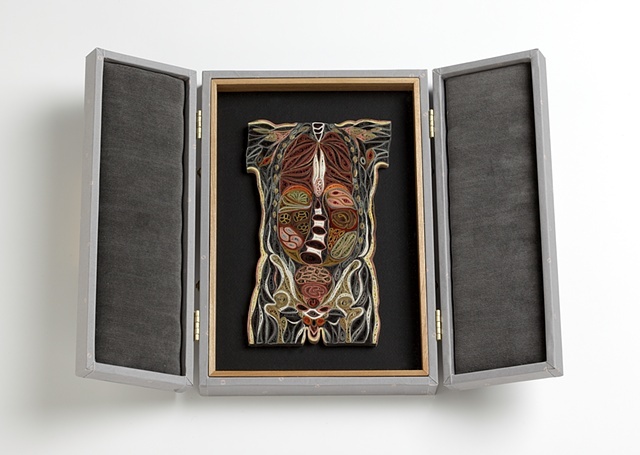 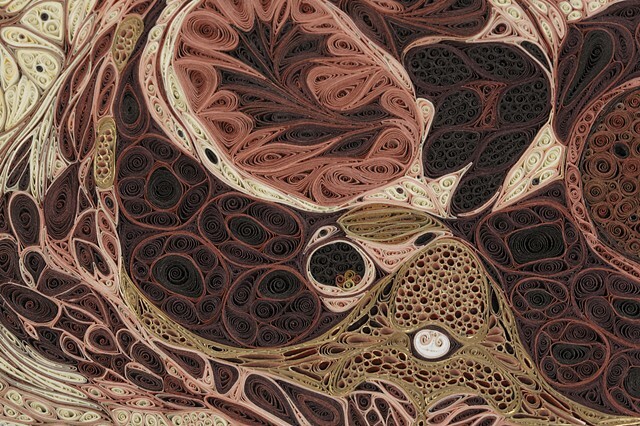 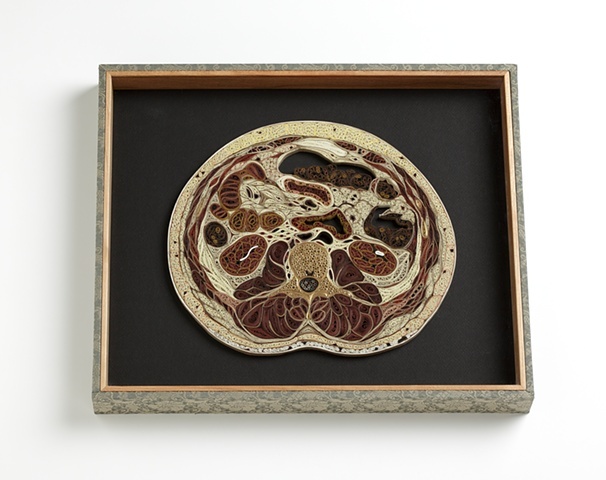 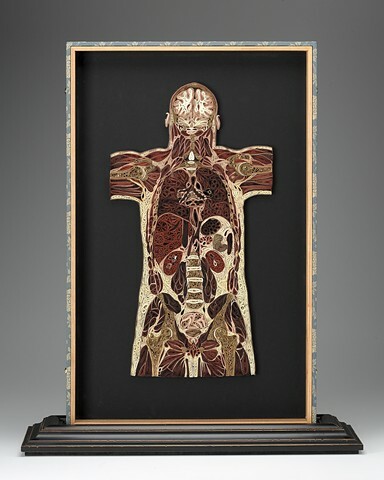 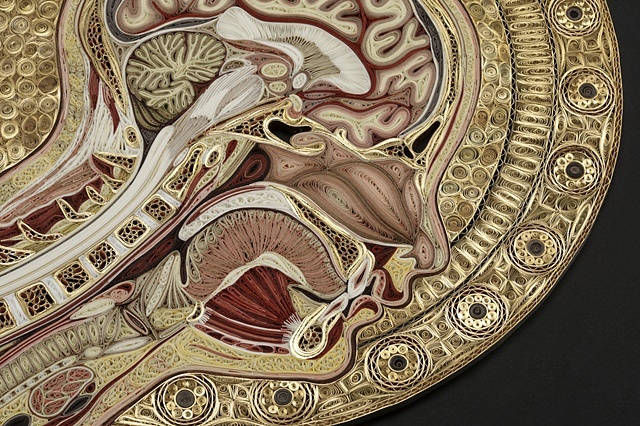 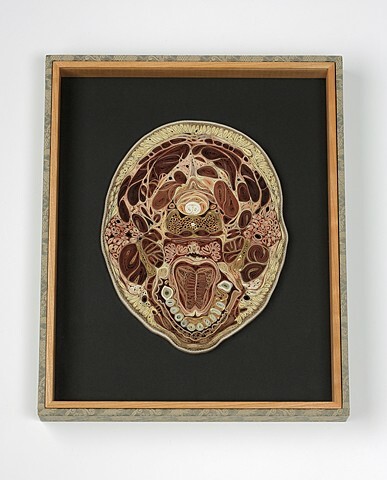 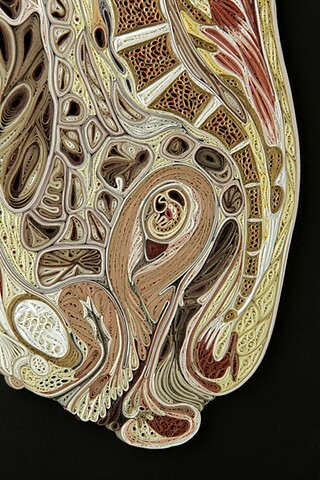 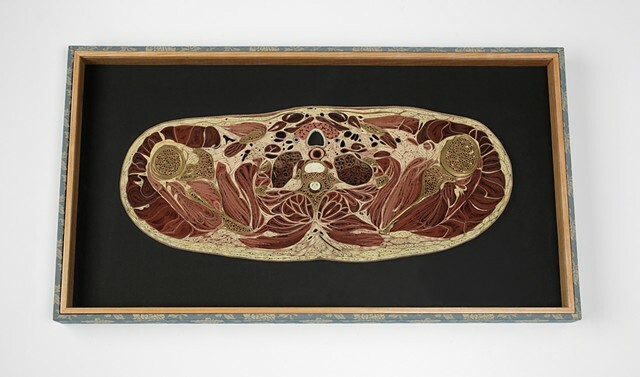 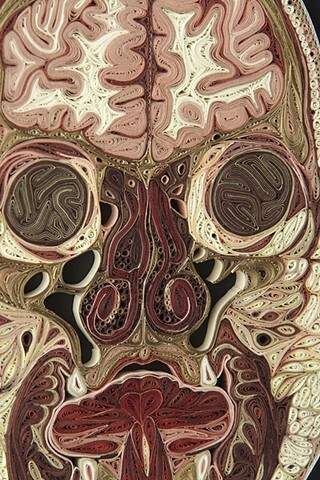 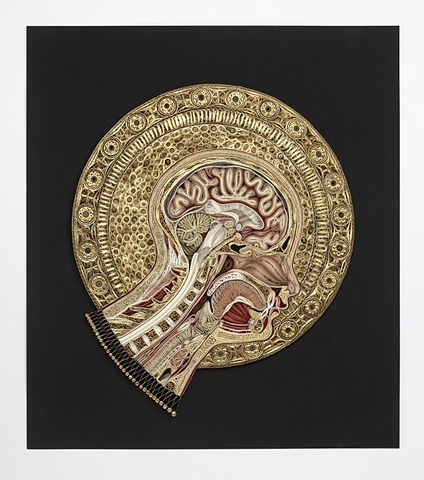 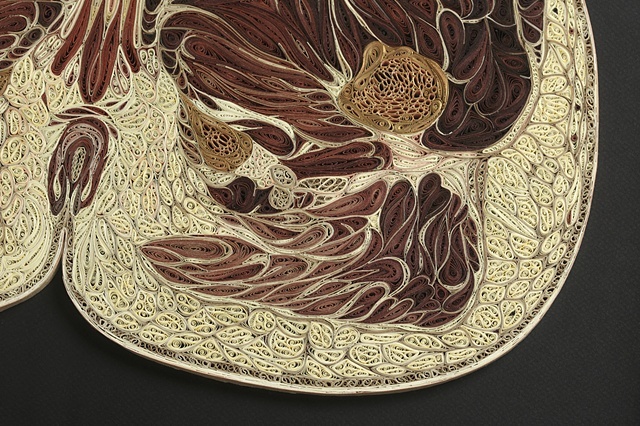 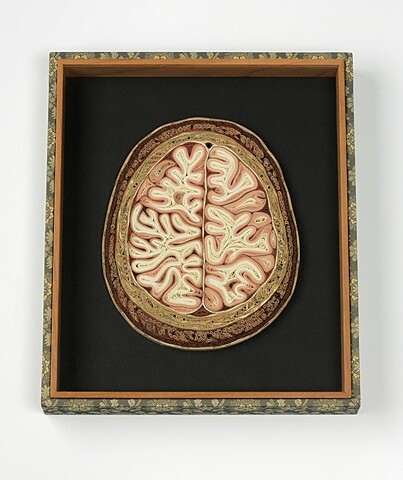 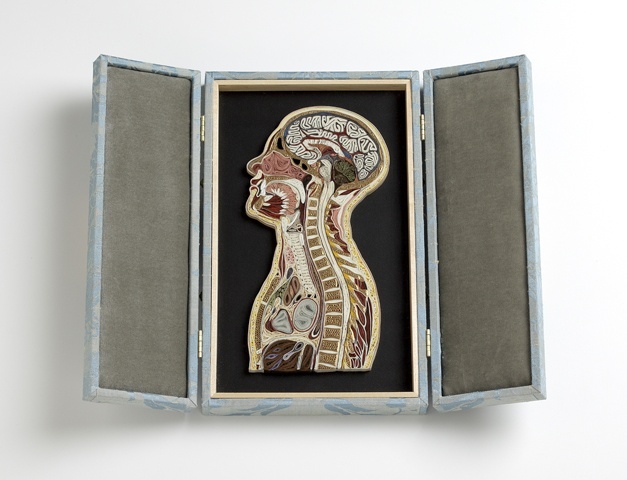 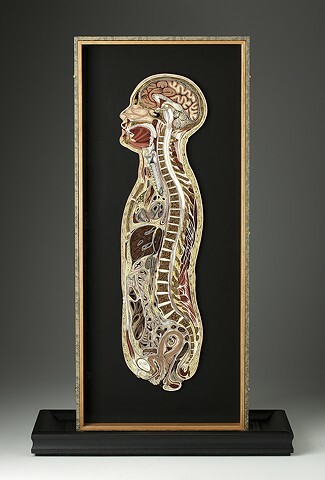 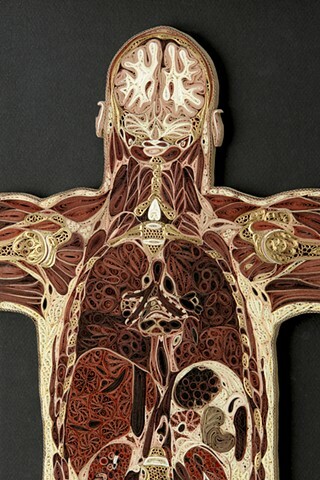 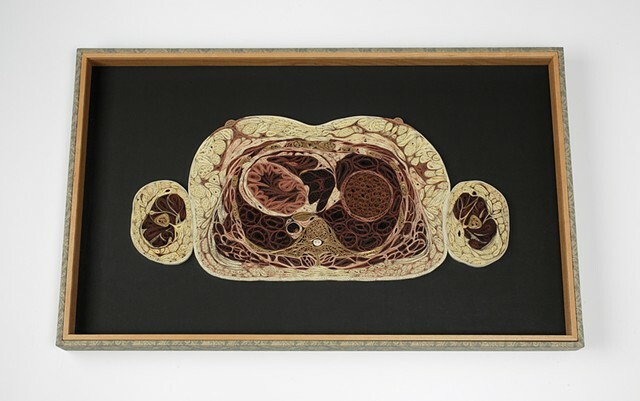 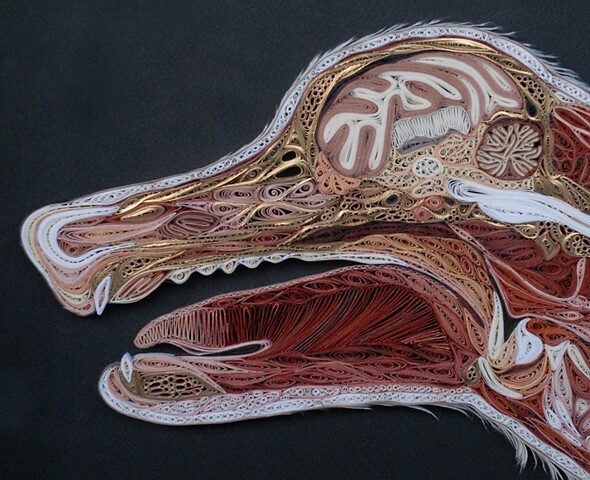 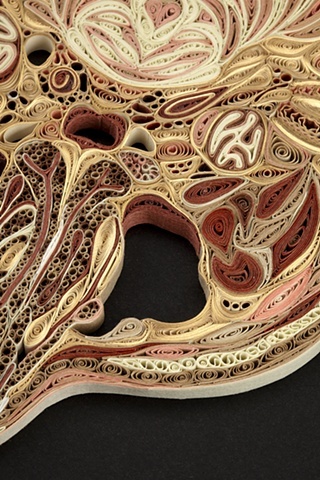 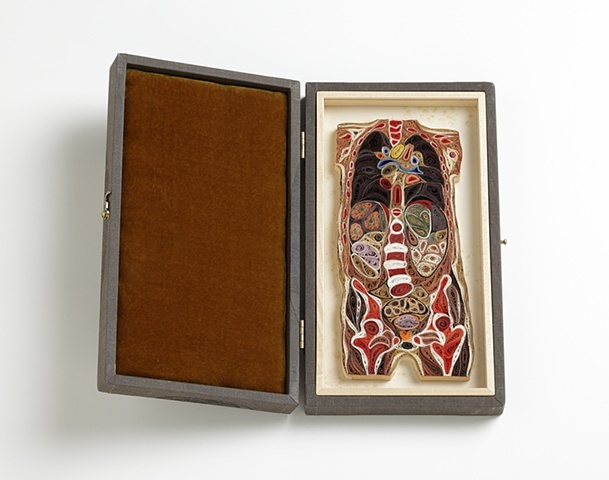 I find quilling exquisitely satisfying for rendering the densely squished and lovely internal landscape of the human body in cross section. 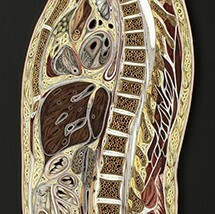 I have included a selection of detail images.